For Reservations please contact Jarre’ Payne Corporate sales manager at 775.356.3455 or 800.843.2427 Ext. 3455 or the hotel reservations desk and mention you are booking a corporate rate with Reno Fly Fishing Outfitters as well. If you can call Jarre’ Monday-Friday 8:30-5:00 and use the reservations desk for last minute bookings. All you have to do is mention you are with Reno Fly Fishing Outfitters. 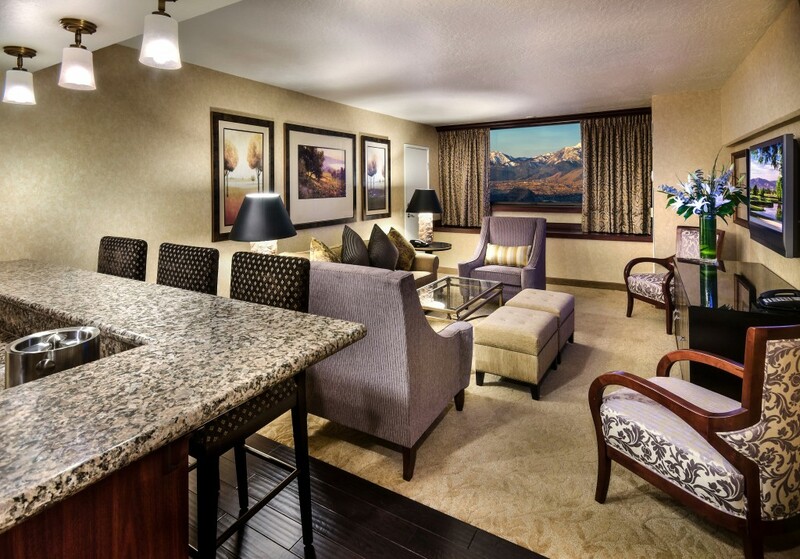 There are several options for rooms including standard rooms, mini suites and two room suites. The rates at the Nugget are great and the location is perfect for fishing Pyramid. Free Airport Shuttle Service and Pick Up for Guided Trips as well. Waiting on updated room rate information. There are very few black out periods for our corporate rates un like other properties in the area. Mini Suites and Two Room Suites are $79 a night for the entire season. The two room Suites have one king bed and a pull out sofa bed in the main room. They also have a large Bar area and two bathrooms. They can also be reserved to connect two a standard room for larger groups. Staying in Reno at one of these two locations is a great choice for fishing in or around Reno. Even if you do not like to gamble the hotels offer 24 hour food, free valet parking and are really convenient to local highways in town. They are also very nice rooms and are a great way to relax and get a hot shower after a long day of fishing. It is also nice when you get back to the hotels they are full service and you do not have to drive anywhere to have dinner etc.